The smallest falcon in North America, the American Kestrel is listed as endangered on Delaware’s Endangered Species inventory. In the Mid-Atlantic region, its population has declined 88% since the 1970s (according to data from the USGS Breeding Bird Survey). 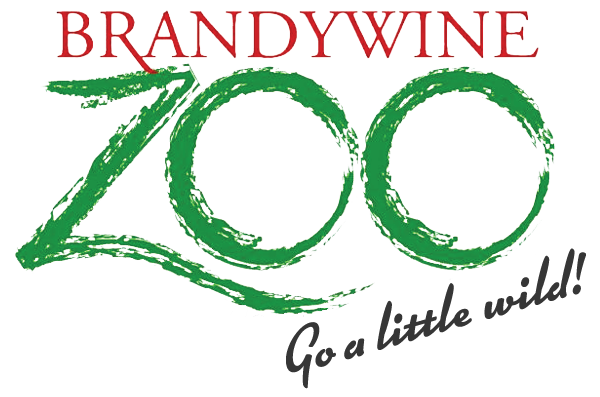 In 2014, The Brandywine Zoo began working with the American Kestrel Partnership, a project of The Peregrine Fund, a nonprofit organization promoting research and conservation of birds of prey worldwide. What started in an attempt to better understand kestrel populations in Delaware has now grown into a multi-organizational partnership across the state. In 2016, the Delaware Kestrel Partnership was formed so that all partners could share information and to streamline efforts. To determine probable cause of decline in Delaware’s American Kestrel populations by; conducting demographic studies which utilize the guidelines of the American Kestrel Partnership, unifying citizen and professional science data, and educating the general public on American Kestrels and ways to help increase their population. Only long-term monitoring can provide a reliable picture on population trends; while bird counts can validate that there are fewer breeding kestrels in the northeast, they do not provide definitive data that would advance kestrel demographics and influence conservation planning. As top predators of their food chain, raptors are an indicator species of the overall health of their ecosystems; observing habitat alterations will enable scientists to determine avenues to stabilize the population. The Brandywine Zoo is helping to study Delaware’s fragile population of kestrels in order to better understand their needs in the state. Data collected from studies done by the Zoo will help to better understand how to protect kestrels around the country. We’re looking for American Kestrels in Delaware- have you seen one recently? Download our “Have You Seen This Bird” flyer for more details and information on how to identify this little falcon, and how to get in touch with us. 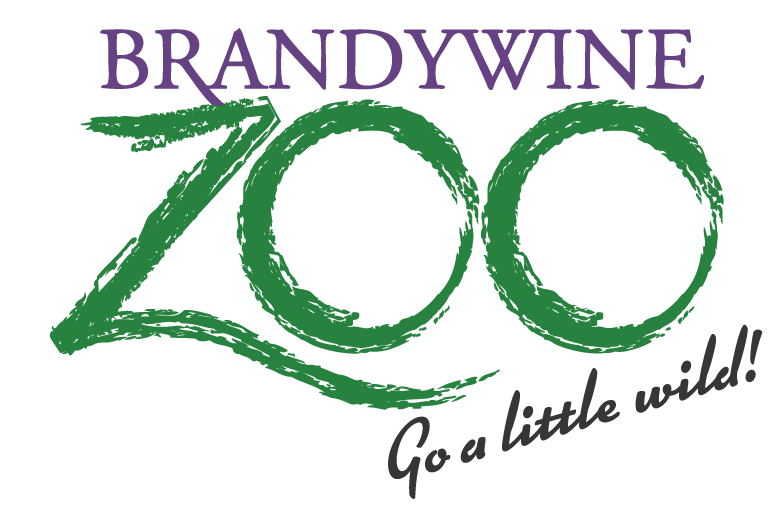 The Brandywine Zoo is the first AZA accredited zoo to work with the American Kestrel Partnership. The Zoo is excited to work with our Delaware Kestrel Partnership program partners in an effort to better understand and protect this native species. Read recent program updates in the 2016 Summary Report and 2017 Summary Report. Who’s Involved in the Delaware Kestrel Partnership? The DKP is a group of governmental and nonprofit organizations working together to monitor Kestrel populations and demographics in Delaware. 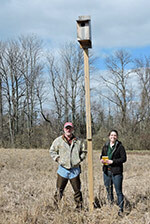 Multiple public and private land conservation groups and organizations hosting nest boxes. In addition to placing boxes on appropriate habitat where kestrels possibly could be found, the Zoo’s team of researchers also use citizen sightings of kestrels to determine nest box locations. Help us identify kestrel nest box locations! Log your kestrel sightings at eBird.com and document details about your sighting such as gender, location and any behaviors. Fill out the Contact Us form to report sightings. Think you may have an appropriate site for a kestrel box? Check out our Keys to Success for more information. Schools and private residents interested in participating in kestrel nest box monitoring at their sites should complete the Contact Us Form to inquire about the project. Volunteer as a nest box monitor.